“Last summer, I joined Forget The Gym, for the Dublin Marathon Coaching programme. Though I was running regularly, I was far from being confident in my abilities and I did have a “go with the flow” approach! No watch, time or distance goals, just enjoying being out and run. Running a marathon would definitely have been a dream but given the above and my poor track record in P.E. classes, was I being realistic?? The only way to find out was to take the plunge. I registered for Dublin marathon at the end of May and posted it online as a deterrent to back out of it. Now that there was no turning back, I needed to train and have a plan. After looking through a huge amount of information on line on marathon running, I was overwhelmed by the task ahead of me and it was obvious that it was going to be hard on my own. I had seen the Forget the Gym classes in my local area and I was delighted to find out that Mary also provided marathon training. So that was it, I contacted Mary and registered for the 16 week training programme. Following the first workshop, I was almost sure that I would complete the marathon. 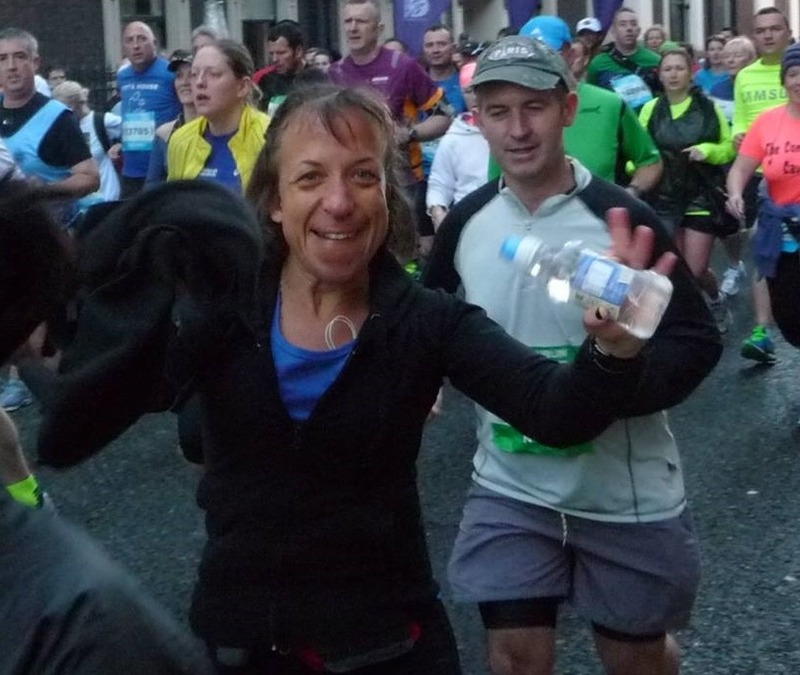 It was evident that Mary knew what running a marathon entailed, the training plan was easy to follow and there was going to be lot of support along the way. Crossing the line was now about me sticking to the plan and life not having too many nasty surprises in store for me. The 16 weeks flew by and maybe down to luck but more definitely because of the advice, the training went rather smoothly. That said, it was not always easy to juggle work, social commitments and 4 runs a week but when there is a will, there is a way .To spice things up I had also decided that I would train and run the marathon using plant-based homemade gels and sport drinks. I ran Dublin marathon 2013 on mashed bananas, dates, dilisk and coconut water with no unmanageable surprises along the way. It took me a while to realise what I had just accomplished but once reality sank in, the feeling was second to none. Since, I have been stricken by what some of us now call “marathon amnesia”! Having forgotten about the less pleasant aspects of marathon running, I went on to run Barcelona marathon last March and I am hoping to run Dublin again this year. – Stay true to yourself in all aspects of the marathon journey as after all, on race day, it’s only about you and 26.2 miles!